Highly prolific director Frank Borzage, who made over 100 films and acted in even more, was not a fan of gangster film noirs that became so popular after WWII. 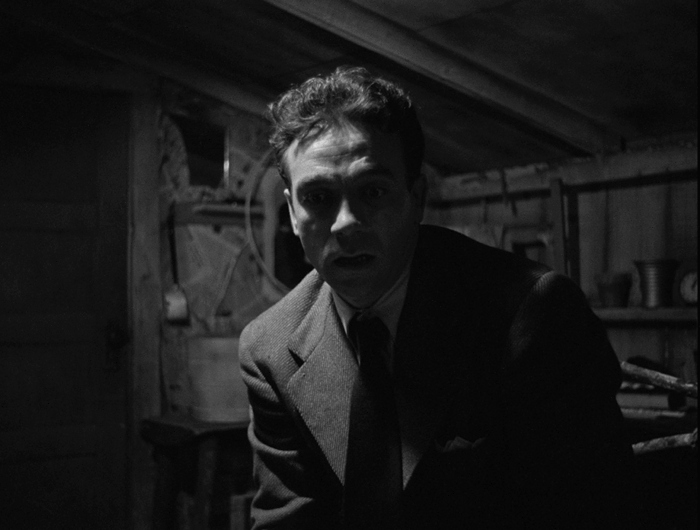 His film Moonrise (1948) is basically the polar opposite of film noir's typical "descent into Hell": it simply starts there and works its way back up. 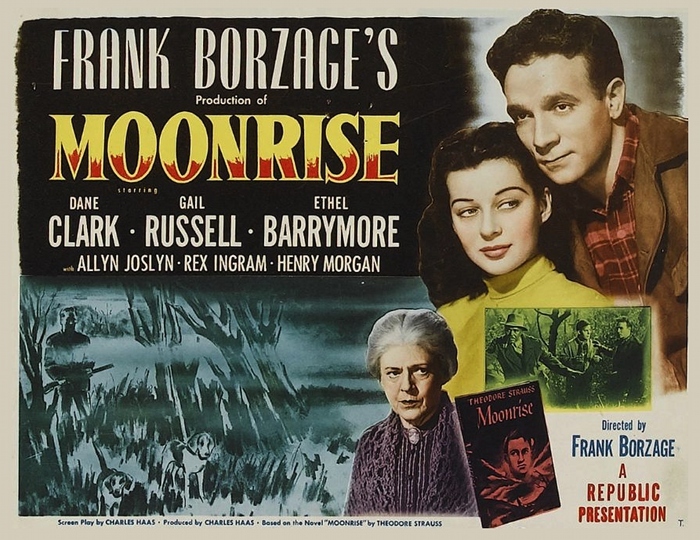 Based on the 1945 novel by Theodore Strauss, Moonrise (1948) stars Dane Clark as Danny Hawkins, whose father was hanged decades earlier for killing a doctor. Danny seems to be cursed by "bad blood": relentlessly teased as a youth, he lives as an outsider and has very few friends. His closest "allies" are a deaf mute named Billy Scripture (Harry Morgan, in an early role), a kindly old black man named Mose (the great Rex Ingram), and a pretty young schoolteacher named Gilly Johnson (Gail Russell). After a nightmarish opening sequence borrowed from German Expressionism, Moonrise keeps the tension high by showing Danny's lifelong plight: he's forever known as the son of a murderer, especially in the eyes of frequent tormentor Jerry Sykes (Lloyd Bridges). An argument turns into murder, and suddenly Danny has become his father. Hiding Jerry's body and telling no one, the guilt pushes him away from everyone -- especially Gilly, who was engaged to Jerry but doesn't even know he's dead yet. Yet she's always taken a liking to Danny, and can sense that something is drastically, dreadfully wrong as of late. Moonrise plays it smart by always keeping us in the loop: its entire story is told from Danny's perspective, and our "involvement" in the murder makes us strangely sympathetic to his actions and the resulting fallout. Thing is, no one's immediately out to get him: he simply carries the guilt like a noose, and very few people can see it in his eyes because he's always looked that way. He's only suspected by two people: Mose figures it out but wants Danny to own up himself, while Gilly's suspicions are vague but equally sympathetic. Even local sheriff Clem Otis (Allyn Joslyn), who's likewise known Danny since childhood, would rather see the young man come in on his own merit than be hunted like an animal. It's an intensely intimate and emotionally effective drama that thankfully ends on a much brighter note than it begins, allowing us to see a well-earned turning point for a man who hasn't had much of a life thus far. Aided by striking cinematography (the opening montage and a mid-film fairground scene, among others, are especially memorable) with outstanding lead and supporting performances, Moonrise sadly didn't connect with audiences but holds up exceptionally well. It's still a largely forgotten film that, to the best of my knowledge, was never released on Region 1 DVD despite lapsing into the public domain some time ago. Criterion's new Blu-ray takes care of that: arriving with a great new 4K-sourced restoration and lossless audio, it's sadly light on extras but should still appeal to die-hard fans and newcomers alike. Presented in its original 1.37:1 aspect ratio, this brand new 1080p transfer of Moonrise was created from a recent 4K restoration; this was never released on Region 1 DVD to my knowledge, so this likely looks a great deal better than the last version you saw. Image detail, textures, and stability are all rock solid with deep black levels and shadow detail, while a light but noticeable layer of grain gives it a thick, film-like appearance. The opening sequence is especially striking, as I'd imagine a less impressive image would cripple its impact. Bottom line: the end result of this new restoration is clean, crisp, and likely as good as Moonrise will get on disc unless a true 4K version is released in the future. Die-hard fans will be enormously pleased, and newcomers should be thankful to have such a great presentation the first time. DISCLAIMER: The images on this page are decorative and do not represent the Blu-ray under review. As usual, Criterion plays it straight with a lossless PCM track that preserves the film's original mono mix; like the video presentation, a few forgivable flaws remain (very mild hiss during a few scenes, a somewhat thin high end, and a few slight volume fluctuations during crowded outdoor gatherings) but it's mostly great news here. Dialogue is typically crisp and clear throughout, with well-balanced music cues that rarely fight for attention. Optional English subtitles have been included during the main feature only. As usual, Criterion's interface is smooth, clean, and easy to navigate. This one-disc release is locked for Region A players; it's packaged in their typical "stocky" keepcase with very stylish black-and-white artwork. The fold-out poster Insert features tech specs, promotional stills, and an essay by critic Philip Kemp. Surprisingly little...the only item is a short but enjoyable Conversation between author Herv� Dumont and film historian Peter Cowie (17:20) that briefly discusses Frank Borzage's career path, a short history of Republic Films, and Moonrise's striking visual style. It does venture into uncharted territory -- not very difficult, given Moonrise's lack of extras on home video through the years -- but will ultimately leave fans wanting more. No commentary or longer featurettes, especially at Criterion's standard price point? 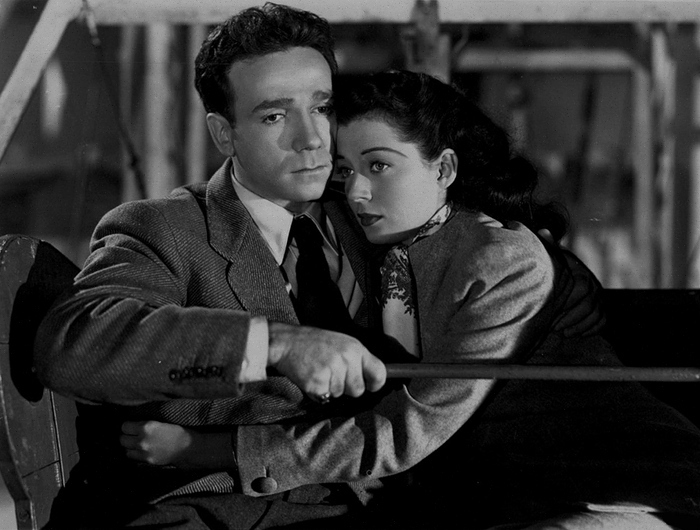 One of the most tragic but ultimately uplifting films of its era, Frank Borzage's Moonrise is a deeply effective "anti-noir" featuring two powerhouse lead performances that carry most of the emotional weight. It's also strengthened by outstanding cinematography and clever visual tricks that still pack quite a punch. 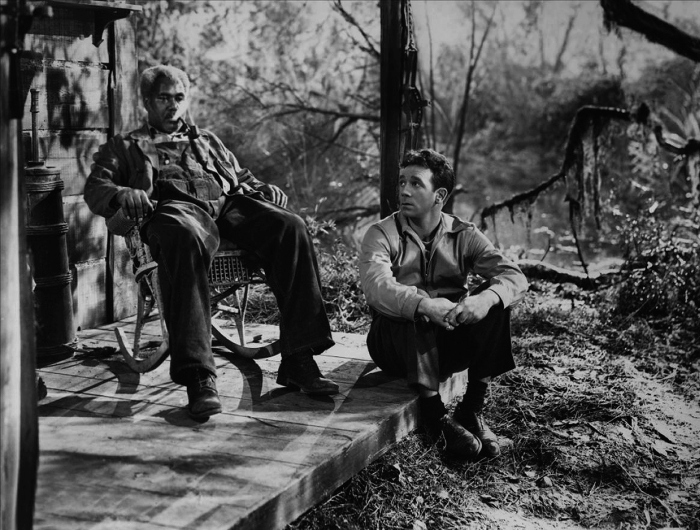 Though Moonrise didn't connect with audiences in its day (likely the reason why the once-prolific Borzage took a ten-year hiatus after its release and only made three more films), it's aged quite well and should expose the late director to a new generation of fans. Criterion's Blu-ray features a sterling A/V presentation bolstered by a new 4K-sourced restoration, but the extras leave a lot to be desired. Firmly Recommended to established fans, though newcomers should rent it first -- very expensive for a blind buy.